Meet woop, cosattos faff-free 2 in 1 travel system with built-in pram skills. theres no separate carrycot, just one feature-packed intuitive nest with new-born recline. woop does pram with pushchair portability, smoothly converting into seated from new-born recline mode when babys ready to sit up. fitting the matching hold 0+ car seat (sold separately), woop is lightweight luxury for modern life. suitable from birth up to 15kg (3 years approx.) one unit transforms from new-born mode into pushchair mode. space-saving. no need to buy separates. in or out facing pushchair seat so baby can bond with you or greet the street. 4 position adjustable seat recline for napping on the go. with reversible liner and kangaroo pouch for cosy little hands. head hugger, chest pads & tummy pad. 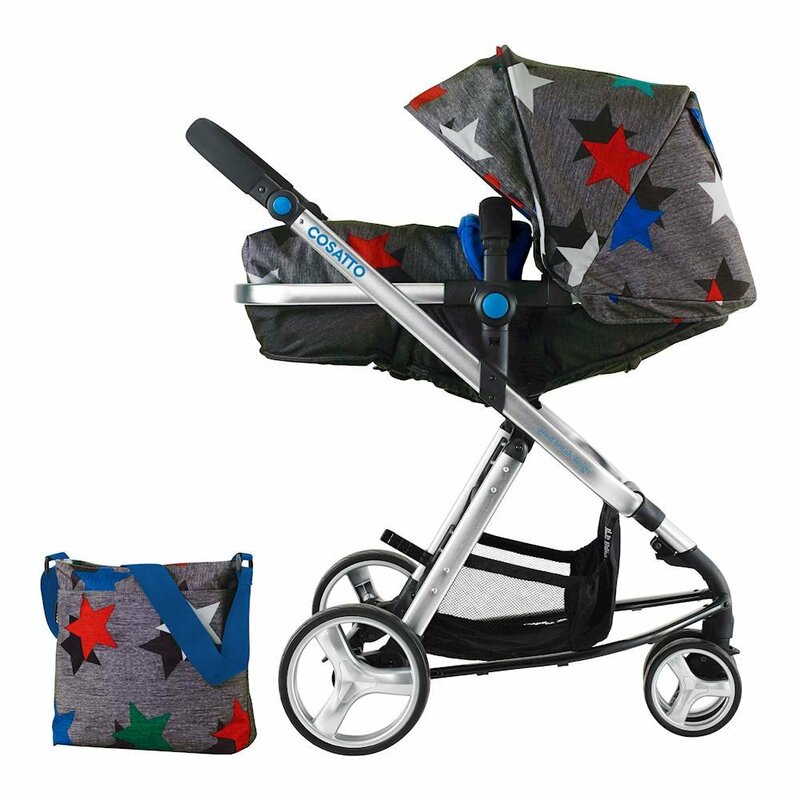 woops so considerate co-ordinating patterned changing bag, with changing mat and clean-up bag. the original coasts rain cover. spacious storage basket for all your bits & bobs. compact, easy-fold lightweight aluminium chassis. easy carry, easy store. all-round suspension for a smoother ride. removable bumper bar so they can pull themselves up and see the world. adjustable handle height for your pushing comfort. quick-release easy-clean removable wheels. this matters. upf50+ protection sunshade hood with visor. lockable front swivel wheels for tight spots. compatible with hold 0+ car seat (sold separately). Includes , rain cover, changing bag and coasts car seat adaptors. add the hold 0+/port 0+ car seat to make it a travel system. 2015 junior design award winner with industry-leading 4 year for your peace of mind.